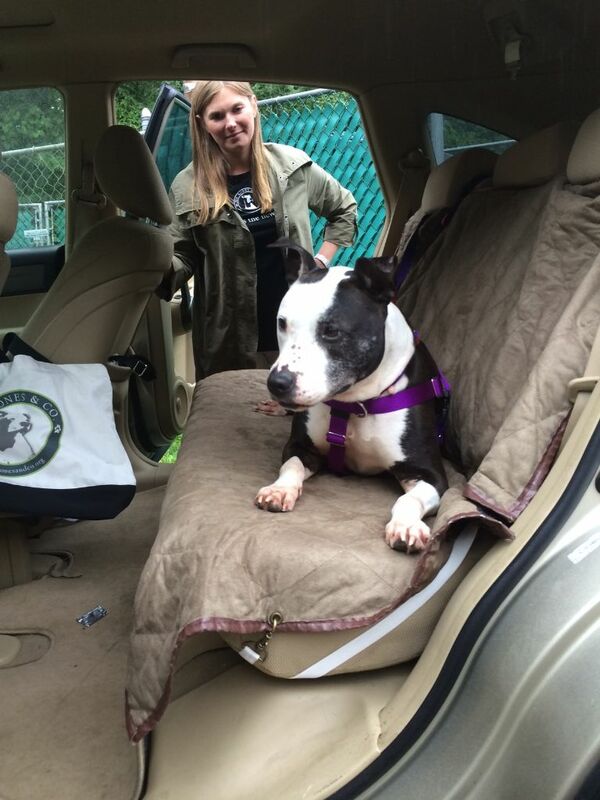 Jasmine ADOPTED | Mr Bones & Co.
UODATE 9/15/15: After 14 months in our program, and almost four months homeless, Jasmine has been ADOPTED! 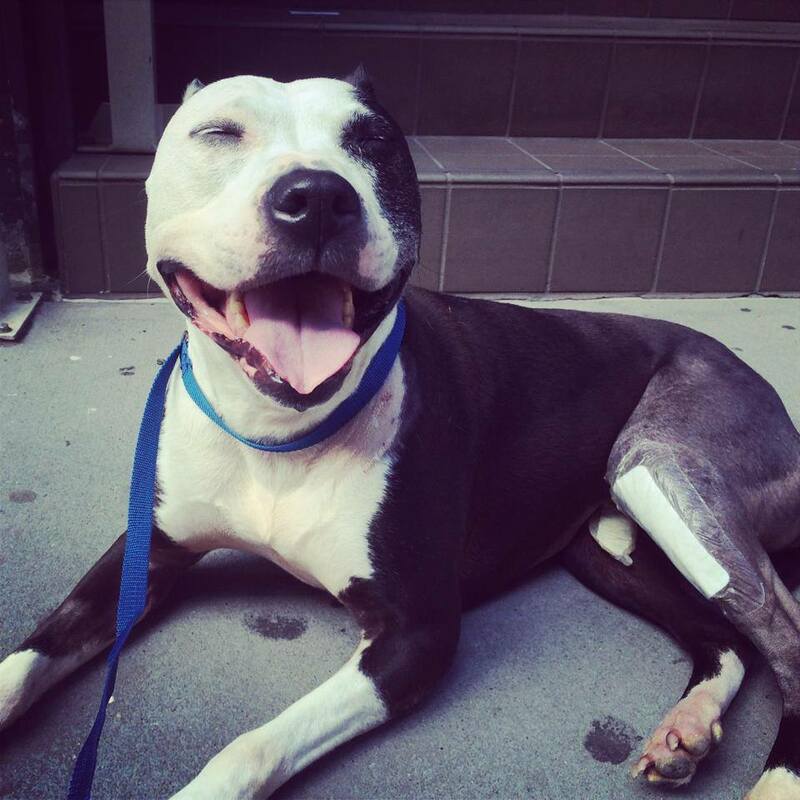 UPDATE – 11/16/14 : Jasmine is now fully recovered from her surgeries and is walking and running pain free! She has also completed her training program and is 110% ready to find her forever home. She is in residence with our trainers, CT K9 Services in Bethany, CT, and is loved by all who work with her. 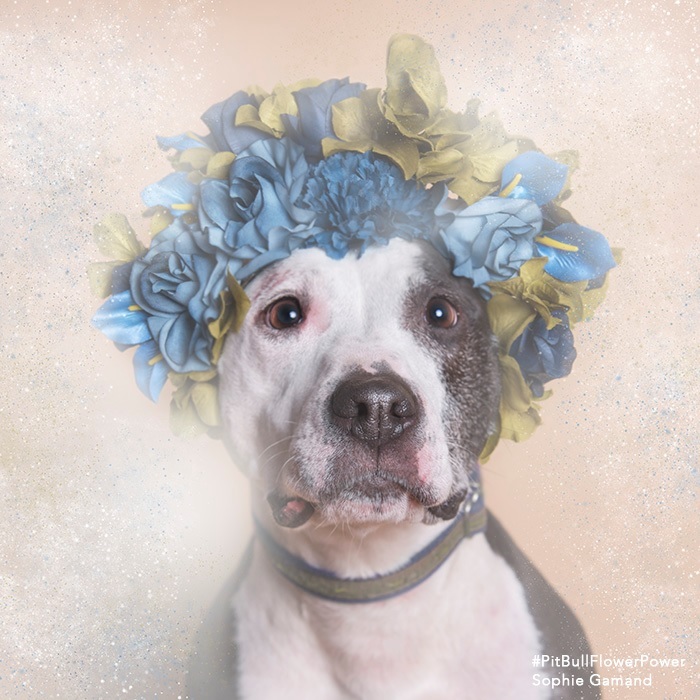 Jasmine had the fortune of being photographed by Sophie Gamand of Striking Paws for her Pitbull Flower Power project. Sophie captured our longest resident beautifully and we are so thankful for the generous donation of her time and talents! For almost four years Jasmine has waited patiently to find her way home – is it with you? 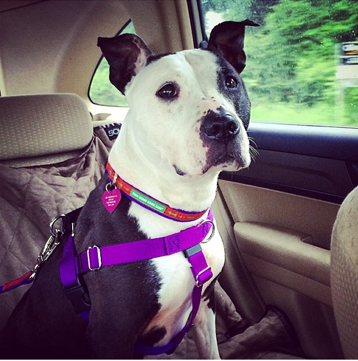 ABOUT JASMINE: Jasmine spent three years being picked over and cast aside in an upstate New York shelter. 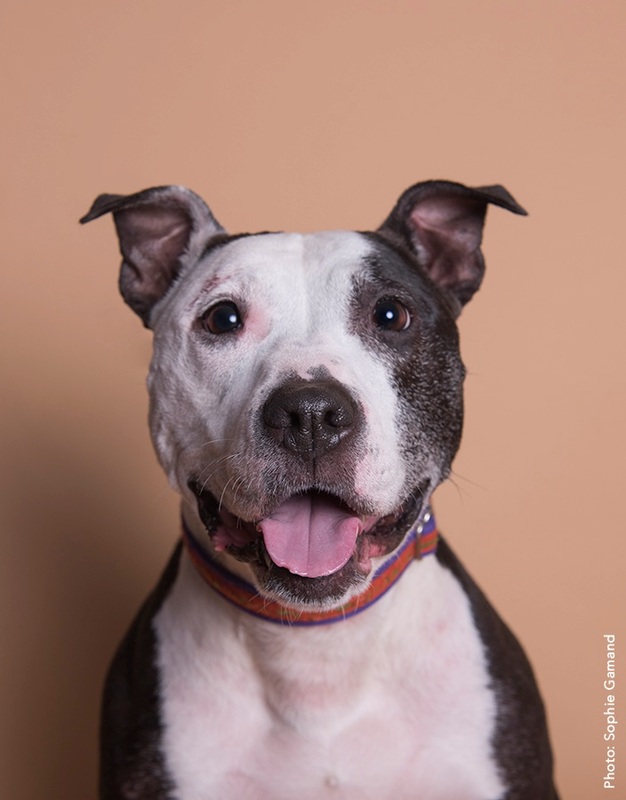 A staff and volunteer favorite, she couldn’t get up to greet visitors and often sat with her back to people while in her kennel, which turned potential adopters off. We were told she had extreme arthritis in her hind legs, but upon meeting her, we realized she was actually suffering from acute ligament tears in both of her hind leg ‘knees.’ We pulled Jasmine in June 2014 and she underwent the first of her two surgeries, a TPLO procedure, immediately. 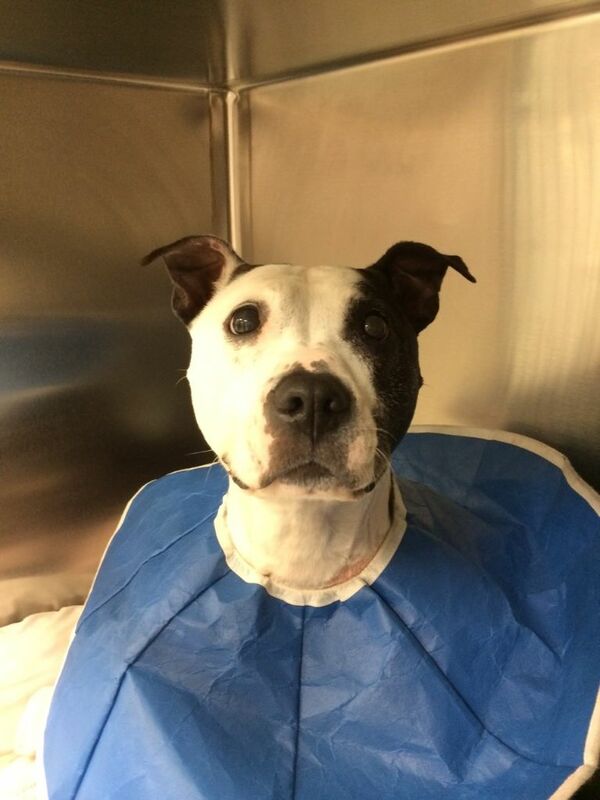 Jasmine recovered well and underwent her second surgery at the end of July, under the care of Dr. Daniel Spector of Fifth Avenue Veterinary Specialists in Manhattan. 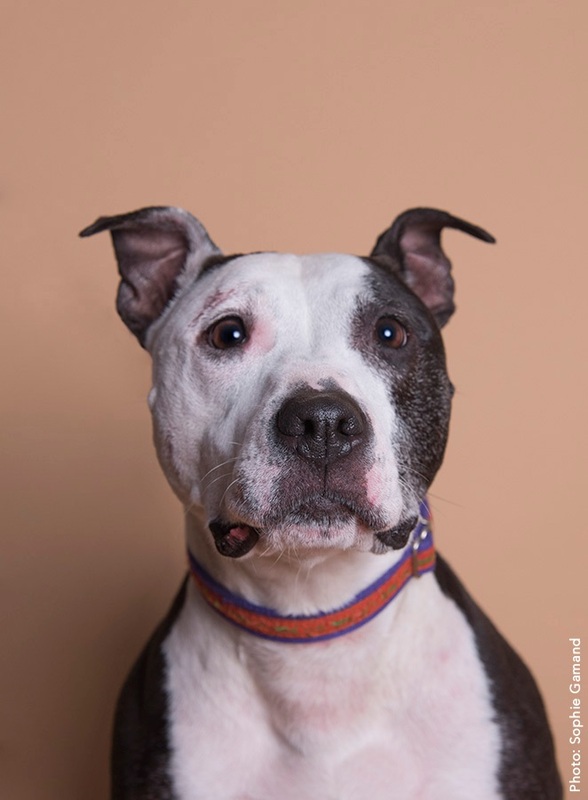 Jasmine is incredibly affectionate, loves humans and is well behaved. She is quiet and wiggly and always has a giant smile on her face. 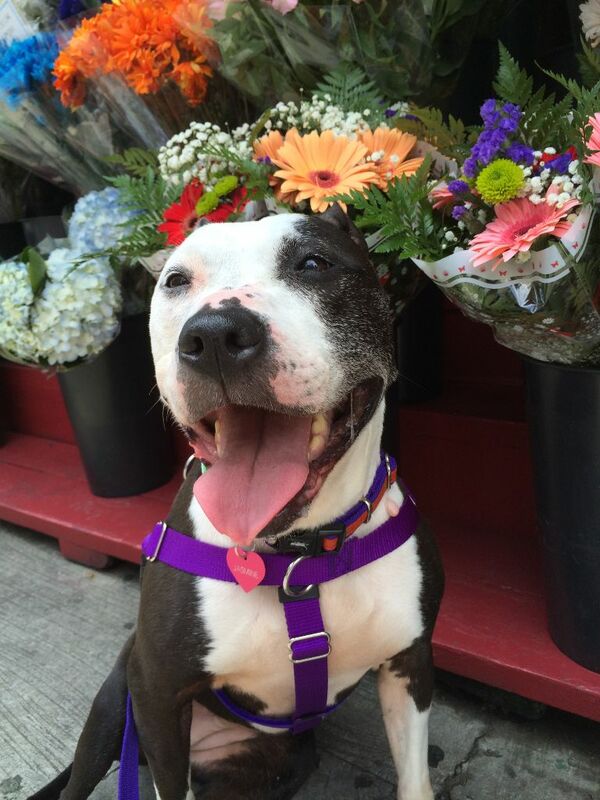 Since we pulled her into our rescue, Jasmine has bloomed, opened up and stolen the heart of every person she meets. She is spayed, house trained, UTD on all shots, weighs 42lbs. and is approximately 7 years old. She does not chase cats and is largely nonreactive to other dogs, able to walk on leash with them and coexist peacefully, though she prefers be the only pet in your home and the apple of your eye. If you would like to meet Jasmine and live in NY, NJ, VA, MD, CT, RI or MA, please contact us to request an adoption application. TPLO, or tibial-plateau-leveling osteotomy, is a surgery performed on dogs to stabilize the stifle joint after ruptures of the cranial cruciate ligament, the equivalent to an ACL in humans. When a dog tears its cruciate ligament, every time the dog puts weight on the leg the femur slides on the back of the tibia, causing pain and inflammation. This injury presents with the dog either not using the limb at all, or lightly walking on it via ‘toe touching’ his paw to the ground. Injury to this ligament is the most common orthopedic injury in dogs. The TPLO surgery changes the dynamics of the dog’s knee so that the torn ligament becomes irrelevant to the stability of the knee. Once the bone is cut and rotated, the tibial plateau, where the femur and the tibia communicate, is unable to slip backwards, thus immediately stabilizing the knee. Complete recovery takes 10-12 weeks and includes severely limiting physical activity with crating, strict short and controlled leashed walks that gradually increase in length, and absolutely no jumping or running. It is also very important to monitor your dog’s weight during the recovery, and after the surgery. An overweight dog will stress the joint out. Calorie restriction may be needed during the recovery period as your dog is not experiencing a typical activity level.